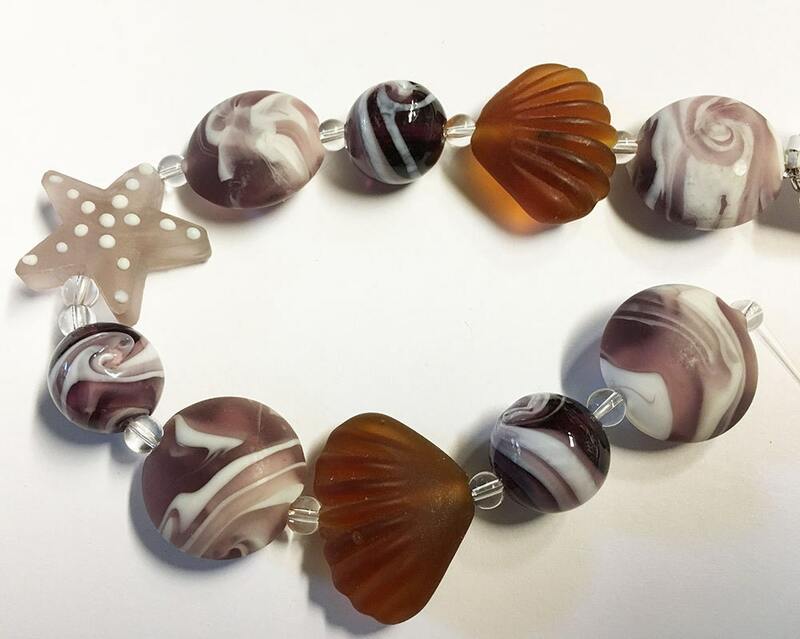 Beautiful strand of matte shades amethyst and topaz lamp work glass beads with a sea theme - matte finish gives them a sea glass look. You will receive one 8 inch strand with approximately 10 beads, including: 1 - 22x24mm matte starfish, 2 - 20x26mm matte topaz scallop shell, 4 - 20mm matte striped coins, and 2 - 15mm white rounds with swirls. Mix and match these to make gorgeous jewelry for the beach!